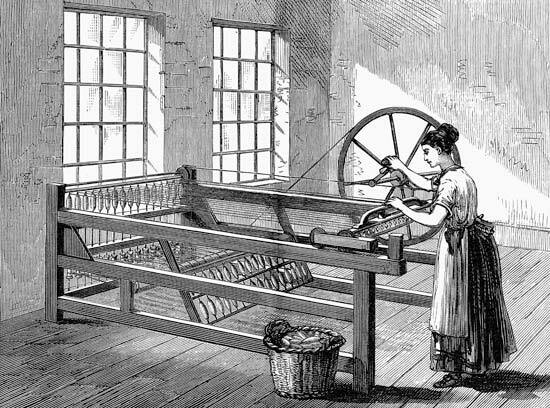 In 1770, James Hargreaves, a poor, illiterate spinner weaver invented the Spinning Jenny after his daughter unintentionally overturned the spinning machine on which she was working. The Spinning Jenny took cotton out of the home and into the workshops. Spinning was therefore no longer a cottage industry. People were not happy with the mechanisation of spinning and thought that such mechanisation was bound to destroy their earnings and lives. People therefore rioted and those who had bought spinning jennies were obliged to hide and preserve their machines in order to not have them destroyed. Hargreaves’ invention contributed to the Industrial Revolution which, on the one hand, paved the road of development, and on the other exploited underpaid workforces (including children) and obliged them to live in abhorrent conditions in overcrowded, dirty, diseased cities. Following the Spinning Jenny, many other machines were soon improved and developed. 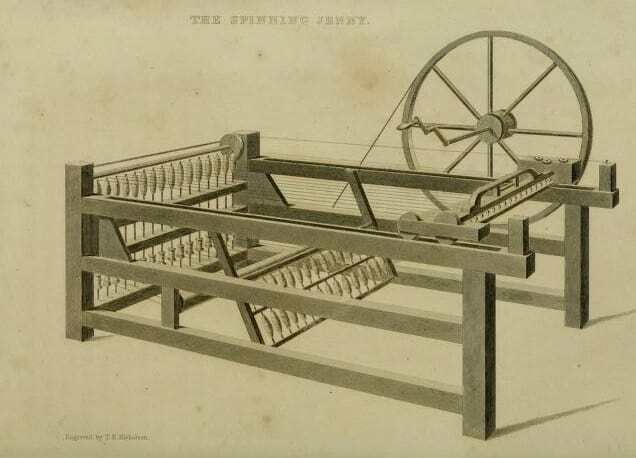 In 1770, James Hargreaves invented a machine that was about to forever change the destiny of the textile industry within Europe, and subsequently America in 1820. The machine protagonist of this essay is Spinning Jenny. Before delving into an accurate description of Spinning Jenny and its functionings, it is necessary to introduce its inventor, James Hargreaves. He was born in January, 1721 in Oswaldtwistle (Lancashire) and died on April 22, 1778 in Nottingham. Not much is known in regards to his early years of life. However, he had a wife called Elizabeth with which he had eleven children (Duggan 2018) and his origins were humble. In fact, ‘he was a poor, uneducated spinner weaver’ (The Editors of the Encyclopaedia Britannica 2019) and carpenter. When he started weaving he used a simple hand loom weaver. Hargreaves lived in a city that before the Industrial Revolution was one of the ‘major textile centres’: in fact, most of its inhabitants were employed within the textile sector, and ‘entire families were involved, […] men were often the weavers while children assisted in cleaning raw materials and women spun the materials into threads or yarns’ (Faribault Woolen Mill Co. 2019). As a consequence of the huge involvement and process behind each weaving, it was difficult to meet the merchant’s ‘demands for textile goods’ (which in turn, caused a massive ‘gap between supply and demand’) (Faribault Woolen Mill Co. 2019). Hargreaves’ thought of creating a spinning machine came about in an absolutely casual manner. 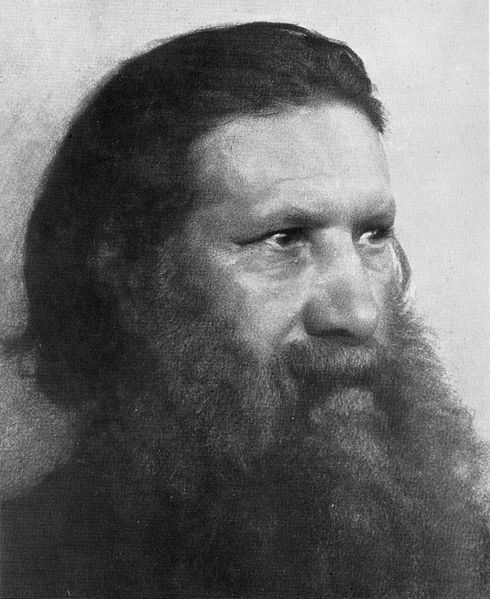 In fact, it happened when his daughter ‘accidentally overturned’ the spinning machine: he observed how the spindle kept revolving ‘in an upright rather than horizontal position’, and that therefore, he came up with the idea of spinning ‘several threads at one time’ (The Editors of the Encyclopaedia Britannica 2019). Some sources claim that Hargreaves named the machine after his daughter. However, other fonts state that he did not have a daughter called Jenny. Unlike wool, cotton was much more difficult to spin since it has a short staple length. Cotton had been spun for thousands of years with a drop spindle which is characterised by a string with a weight at the bottom of it: the fibres are placed on top of the string, and once the string is gently twisted, the fibres are locked together. The Spinning jenny worked on the same principles as the drop spindle. However, it was vertical, and one one side it presented a row of spindles, whereas the opposite side had a row of pins (Allen 2007). ‘The rovings were wound on these pins, and each roving extended across the jenny to the opposite spindle. The spindles were spun by belts from a single wheel. Between the spindles and the pins was a sliding bar with clamps that could grasp the rovings and draw them out. Twist was then imparted by turning the spindles, and finally, the yarn was wound onto the spindles as the sliding bar was pushed towards them. At the same time, the sliding bar pulled out more roving, and the sequence was repeated’. In essence, Jenny ‘mimicked the actions of a spinster and wheel but on an expanded scale’ (Allen 2007). Moreover, sources claim that whereas in the 1750s Britain imported only 3 million pounds of raw cotton, in 1786, more than 18 million pounds of this material were introduced in the country (Allen 2007; citing Crouzet 1985). Before the invention of Jenny, the spinning of wool would take up an incredibly long amount of time. When the machine was first introduced, it caused much upheaval amongst the part of the worker’s part of the population. Hargreaves started selling the machines to the local population, however, ‘since each machine was capable of doing the work of wight people, other spinners became angry about the competition’ (Bellis 2018). As a consequence, machines were destroyed with the intention of hindering the replacement of workers with machines. Unemployment was very much feared, and therefore, on one occasion, hand spinners broke into Hargreaves’ home and destroyed his machines. As a consequence, the inventor moved to Nottingham in 1768 in order to provide for his family in a more stable environment (The Editors of the Encyclopaedia Britannica 2019). In Nottingham, Hargreaves also built a mill in which Jennies would ‘spin yard for hoosiers’; such business was successful and in 1770, he also obtained ‘a patent for the Jenny’s’ (The Editors of the Encyclopaedia Britannica 2019). However, although the inventor obtained a licence for his new spinning technology, jenny had been used already for six years, and as a consequence, all its secrets, advantages and disadvantages had been revealed (Duggan 2018). In fact, others had already duplicated Hargreaves’ invention and was never paid much in royalties (Duggan 2018). As Bassen (2014) states, ‘one single invention can completely overturn a centuries-old craft and the way of life associated with it within a few years’. In fact, although Jenny was the start of development in Europe, what was going to be of the people that for generations had carried out the job of spinning? It it is necessary to understand that those who were being affected were not the rich people. It was, in fact, the poor part of the population. Following Hargreaves’ invention, textile factories started to be built everywhere across Europe, and as a consequence, workers had to move from the countrysides to the cities, where they were forced to live and work in inhumane conditions. However, over 80% of the population worked in the countryside, and ‘many were malnourished, with an average life expectancy of 28 years’ (Bassen 2014). In fact, during the industrial revolution, the factory workers worked in appalling conditions and did not have any rights or insurances: normally, they would work between 12-14 hours; male workers were paid 15 shillings per week (75p), whereas women with children were paid 3 shillings (15p); punishments would be frequent if work was not carried out properly; the loud machines would damage the workers’ hearing. Moreover, their living conditions were not any better. For instance, since the majority of the countrysides’ population was moving out into the city, these were crowded and there were not enough houses for everyone. Therefore, people would live in slums or in other overcrowded zones where it was easy to get diseases such as typhus, tuberculosis, and cholera; human waste was not disposed adequately and the water that people drank was polluted with human waste. The main transformation that Spinning Jenny (as well as other machines) brought was the introduction of mass production. In summary, the spinning jenny was able to do at once the work that eight people could have done only together. This is the reason why Hargreaves’ invention was considered particularly dangerous for the hand-spinning workers. The machine had the potential of destroying their lives and substantially reducing their income. Spinning Jenny was ‘an invention that gave rise to a new era: the industrialisation’ (Bassen 2014) and it saved a lot of money by replacing workers with faster, more efficient machines. For this reason, factories started purchasing Hargreaves’ invention in order to produce larger quantities by employing fewer workers. 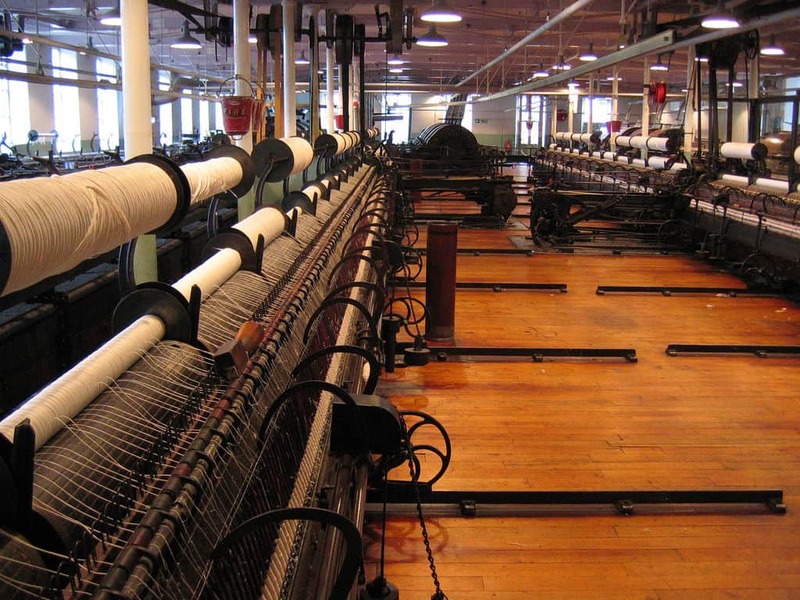 Water power was subsequently employed to turn the wheel, and as a consequence, cotton was of overall stronger and of a much better quality (Faribault Woolen Mill Co. 2019). However, not much time passed until a new machine was introduced: in 1810, Spinning Jenny was replaced by the spinning mule (Bellis 2018). Such an industrial revolution caused cotton and clothed to be much more affordable throughout the country. In the same fashion, other traditional cottage industries such as weaving and knitting, were also becoming mechanised. [3.] Bellis, R.C. (2007). James Haregreaves and the invention of the spinning wheel. ThoughCo.